Protects what’s important to you. That’s the main message in the premium car maker’s latest campaign for the new V60 estate. Volvo has traditionally been associated with family, especially when it comes to their estate cars. But just as Volvo has changed over the past couple of years, the concept of what a family is, and can be, has changed over time as well. In a series of ten second films, Volvo let us meet different real family constellation in personal situations relating to their real lives. For example, we get to meet two men who have been living together for more than 40 years, two women with a young son, a man protecting his beloved flowers, a young couple with their newborn baby and a single dad with his daughter. Among the more well known participants in the campaign we see Swedish-American Hollywood actor Joel Kinnaman (Robocop, Suicide Squad, Altered Carbon) with his wife – world renowned tattoo artist Cleo. We also see the Swedish models and twin sisters Elizabeth and Victoria Lejonhjärta, known for their work together with rapper Drake. Among many others. ”No matter what your family looks like, we know you want to keep it safe. We think it’s up to each and every one to decide who or what you consider family. With this campaign we wanted to do things a little differently and decided to embrance a shorter format, tapping into people’s media behavior. 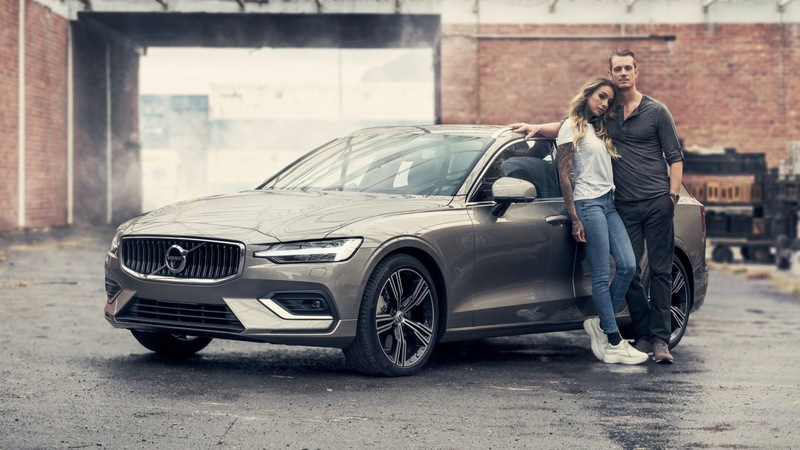 Together, these short portraits will paint a canvas of what family looks like in 2018 and help us position the V60 as the estate for the new family”, said Mikael Kruse, Brand Communications Director EMEA at Volvo Cars. All participants represent themselves in these short films, creating an extra layer to the emotional stories. In total, the campaign consists of 15 separate films. When Volvo Cars revealed their new V60 estate in February 2018, it marked a new chapter for Volvo’s long tradition of versatile estate cars. Besides the campaign, it’s been a good year for car maker. With the Volvo XC60 they won the World Car of the Year 2018 award, the new XC40 became European Car of the Year, and their CEO Håkan Samuelsson became World Car Person of the Year.